Born: 7 March 1870, Findern, Derbyshire, United Kingdom. Died: 20 August 1940, Birmingham, United Kingdom. Joseph Burtt Davy (sometimes Burtt-Davy; or Davy, Joseph Burtt), botanist and agrostologist, was the son of Dennis Davy and his wife Lydia Burtt. He attended a private school at Ilkly, Yorkshire, and in 1891 was employed as a technical assistant at the Royal Botanic Gardens, Kew, near London. As a result of health problems he resigned the next year and went to the United States, where he became a student and assistant in the Department of Botany, University of California, at Berkeley. From 1893 to 1896 he also studied agriculture and from 1896 to 1901 held the post of botanist in the California State Agricultural Experimental Station. Towards the end of that period he described the grasses and the sedge family (Cyperaceae) in W.L. Jepson's A flora of western middle California (1901). In 1897 he married Alice Bolton, but they had no children. She later illustrated many of his botanical publications. During 1901-1902 he was an instructor in botany at the University of California, followed by a brief spell as assistant curator in the herbarium of the Department of Agriculture in Washington. Among others he wrote a monograph on The stock range of northwestern California (Washington, 1902, 81p), dealing with its grasses and fodder plants. On 1 March 1903 he was appointed as botanist and agrostologist, and head of the new Division of Botany, in the Department of Agriculture of the Transvaal Colony in Pretoria, and assumed duty on 1 May. During the next ten years Burtt Davy collected some 14 000 plants all over the Transvaal and with the assistance of Miss Sydney M. Stent* built up an herbarium which later developed into the National Herbarium in Pretoria. In 1905 I.B. Pole Evans* joined the Division of Botany as mycologist and plant pathologist. Burtt Davy's studies of the local vegetation led to a number of important publications, including the following: "Alien plants spontaneous in the Transvaal" (Report of the South African Association for the Advancement of Science, 1904); "The climate and life zones of the Transvaal" (Addresses and papers read at the joint meeting of the British and South African Associations for the Advancement of Science held in South Africa, 1905, Vol. 3); "First annotated catalogue of the vascular plants of the Transvaal and Swaziland" (with Miss R. Leendertz*; introduction only; Report of the South African Association for the Advancement of Science, 1908); "Families, genera and species of Pteridophyta of the Transvaal" (on ferns and fern allies, with V.G. Crawley*; Ibid, 1909); "A first check-list of flowering plants and ferns of the Transvaal and Swaziland" (with Mrs R Pott, born Leendertz; Annals of the Transvaal Museum, 1912, Vol. 3(3), pp. 119-182); "Notes on the genus Ficus Linn." (in cluding a photograph of the "wonderboom" at Pretoria, Ficus pretoriae Burtt Davy; Transactions of the Royal Society of South Africa, 1912); and "New or noteworthy South African plants" (Kew Bulletin, 1921-1924, in 6 parts). Initially Burtt Davy travelled extensively through the Transvaal in order to meet farmers and establish the agricultural needs of the territory. His contributions to agriculture were very numerous. From 1904 to 1910 he contributed dozens of articles on a variety of topics of interest to farmers to the Transvaal Agricultural Journal and for several years wrote the journal's Botany Section. As government agrostologist much of his attention was directed to plants of economic importance. For example, he introduced teff grass (Eragrostis tef), a valuable fodder plant from Ethiopia, to South Africa. Another plant he distributed widely was Kikuyu grass (Pennisetum clandestinum) introduced from Kenya in 1913. In addition to its value as a pasture grass it became popular for lawns and sports-grounds. In 1907 he took charge of the South African Productions Exhibition in London and used the opportunity to visit southern Europe and north Africa to investigate suitable crops for conditions in the Transvaal. At the experimental station at Skinner's Court, west of Pretoria, over 700 experimental plantings of maize, other cereals, fodder plants, and fibre and oil plants from all over the world were carried out. Seed of various crops and pasture plants were distributed to farmers on a large scale from this and other experimental stations. From 1908, when a maize-breeding station had been established at Vereeniging, he gave much attention to breeding new varieties of maize. This work led to the publication of Maize: Its history, cultivation and uses, with special reference to South Africa; a textbook for farmers, students of agriculture, and teachers of nature study (London, 1914, 831p), which remained for many years the standard local work on the subject. For some time he was even president of the South African Maize Growers' Association. He also spent much time investigating poisonous plants that caused stock losses, wrote about them in the Transvaal Agricultural Journal, and in 1911 alone travelled some 30 000 km by rail to study plant poisons and noxious weeds. In 1905 Burtt Davy was appointed on the management board of the Transvaal Museum and Zoological Gardens, mainly to assist in the development of the museum's herbarium and the laying out and planting of the Zoological Gardens. He became a life member of the South African Association for the Advancement of Science in 1903, served on its council from 1904 to 1919, and was vice-president of the associatin three times. In his presidential address to Section C of the association in 1917 he proposed an organised botanical survey of South Africa. Such a survey was initiated by his successor, I.B. Pole Evans*, after the government approved the project in October 1918. He was a foundation member of the Transvaal Biological Society (1907-1916) and during the period 1908-1911 contributed 14 papers to its proceedings, most of them on the Transvaal flora and plants of economic importance. He was a foundation member also of its successor, the South African Biological Society (1916) and of the South African Ornithologists' Union (1904-1916). In 1905 he became a member of the South African Philosophical Society and in 1908 was elected as one of the founding Fellows of its successor, the Royal Society of South Africa. He was a Fellow also of the Linnean Society, the Royal Geographical Society, and the Royal Meteorological Society, and a member of both the British and American Associations for the Advancement of Science. 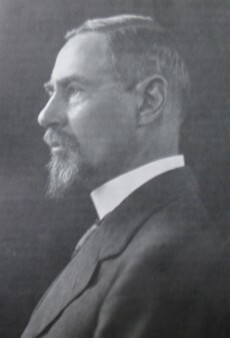 Following the formation of the Union of South Africa in 1910, and the resulting re-organisation of the civil service, Burtt Davy became head of the Division of Botany in the Union Department of Agriculture. However, a separate Division of Plant Pathology was created and many of the functions of the Division of Botany were transferred to the agricultural colleges. He was informed that the Division would eventually be abolished and resigned his post in October 1913. (The division survived and later became the National Botanical Research Institute). During these few years (1911-1913) he contributed some 28 articles on various aspects of botany and agriculture for farmers to the Agricultural Journal of the Union of South Africa. After his resignation Burtt Davy settled on his farm Burrtholm, near Vereeniging, where he grew seed and bred pedigree Hereford cattle untill 1919, when he returned to England. During this time he compiled "A key to the families and genera of spermatophyta in the Transvaal and Orange Free State" (Report of the South African Association for the Advancement of Science, 1917) and published "Additions and corrections to the recorded flora of the Transvaal and Swaziland" (Ibid, 1918). In 1924 he began doctoral research at Christ's College, Cambridge, and was awarded the PhD degree by Cambridge University in 1925. Part of his research was done at Kew Gardens, where he wrote his most important work in plant taxonomy, namely the first two parts of A manual of the flowering plants and ferns of the Transvaal and Swaziland, South Africa (London, 1926, 1932). One of the illustrators was his wife, while N.E. Brown* was a contributor. The third part on which he was working was not yet ready for publication at the time of his death. In 1926 he moved to Oxford and took up the combined post of demonstrator in forestry at the University of Oxford and lecturer in tropical forest botany at the university's Imperial Forest Institute. The university admitted him to its Master of Arts (MA) degree that same year. Also in 1926 he published his Handbook of conifers grown in the arboretum, Bagley Wood, Oxford (44 p). Two years later he was awarded the Diploma of Forestry. In 1929 he visited South Africa to attend the second joint meeting of the British and South African Associations for the Advancement of Science and used the opportunity to collect specimens for the forest herbarium at Oxford. With I. Chalk he wrote a pamphlet on The collection and preparation of herbarium and timber specimens (1927, 28p). He was also co-editor of the series Forest trees and timbers of the British empire, and the author of variuos papers, pamphlets and reports. In 1937 the University of Oxford awarded him the degree Doctor of Philosophy (D Phil) for a thesis entitled The forest flora of south tropical Africa and its distribution in relation to topography and climate. He retired in September 1939, but volunteered for an additional year's work without pay. Several plant species were named in his honour, including Aloe davyana (by S. Schonland*), Acacia davyi, and Ficus burtt-davyi. Most of the specimens he collected for his personal herbarium are at Kew Gardens. Addresses and papers read at the joint meeting of the British and South African Associations for the Advancement of Science held in South Africa, 1905, Vol. 3. Annals of the Transvaal Museum, 1911-1913, Vol. 3. Gunn, M.D. Joseph Burtt Davy. Bothalia, 1941, Vol. 4, pp. 45-46. In Memoriam: Joseph Burtt Davy. South African Journal of Science, 1940, Vol. 37, pp. xvii-xix. National Archives, Pretoria (TAB), Source MHG, Vol. 0, Ref. 1092/41, death notice, Joseph Burtt Davy. National Automated Archival Information Retrieval System (NAAIRS). http://www.national.archives.gov.za/naairs.htm Documents relating to Joseph Burtt Davy / J. Burtt Davy. Obituary: Joseph Burtt Davy. Transactions of the Royal Society of South Africa, 1942, Vol. 29, p. lxii. Royal Society of South Africa. Transactions, 1908-1917, Vol. 1, 2 and 6. South African Association for the Advancement of Science. Report, 1903-1913, 1917, 1918. South African Journal of Natural History, 1918, Vol. 1(1), pp. 8-15: Roll of Foundation Members [of the South African Biological Society]. Transvaal Agricultural Journal, 1904-1910, Vol. 2-9. Transvaal [Colony], Department of Agriculture. Report for 1902, 1903/4-1908/9. Transvaal Museum. Report for 1905/6, 1906/7. National Archives, Pretoria, Vol. TKP196.